Officials with the City of Stratford are dealing with an apparent cyber attack today. UPDATE: The City of Stratford has provided an update on the apparent Cyber Attack on their official Facebook page. "Thanks for your patience everyone. After investigation, it does not appear that any personal information has been accessed from the City of Stratford's systems. We are planning to provide an update on the incident as soon as additional information becomes available." STRATFORD - We are waiting to hear an update from the City of Stratford after an apparent Cyber Attack. The City made the announcement last night on their official Facebook page. "The City of Stratford is currently managing what appears to be a cyber attack. Resources have been deployed to address this, and appropriate risk management plans are being followed. We will have more information to share Monday, and we appreciate your patience. Our email system and online forms are currently not available, but feel free to call or visit our offices in person during business hours tomorrow." No word at this time if their is any concern over personal information. We will provide you with more information on this developing story. The 16 unit affordable housing complex is being designed for modest and middle income seniors in the Town of Tillsonburg on Sanders Street. 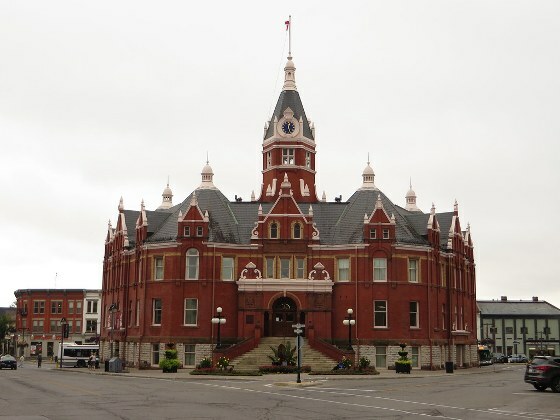 The Ontario Lottery and Gaming Corporation has paid over $1.5 million dollars to the City of Woodstock for hosting Gateway Casino's during the most recent fiscal year. The Canadian Armed Forces will have soldiers and Army vehicles doing training exercises in Woodstock this weekend. Applications are being accepted for the 2019 Youth in Policing Program offered by the Woodstock Police. The OPP have barricades set up on West Quarter Townline Road after a collision this morning. The 23rd annual Dairy Capital Run is coming back to Southside Park in Woodstock. Woodstock City Council has approved the surplus from last year's budget. The amount is estimated at over one million dollars. Last week the Ontario Government announced some major cuts coming to funding for Ontario Libraries. The Southern Ontario Library Service will have their budget reduced by 50%. OPP and fire crews are responding to a crash on Highway 59 in East-Zorra Tavistock.